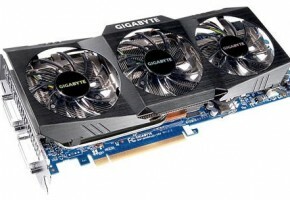 Galaxy displayed a new GeForce GTX 480 graphics card that uses non-reference design PCB and cooling. 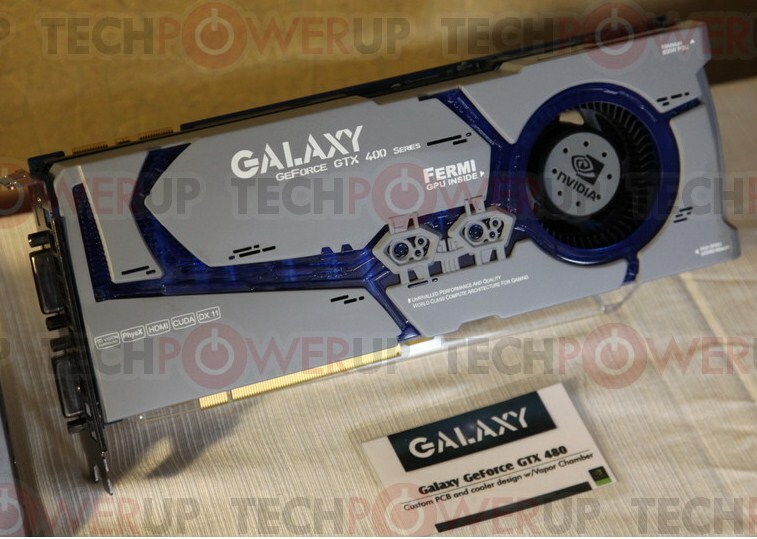 The unique selling point here is a cooler that Galaxy claims to be superior than the reference, making use of the Vapor-chamber technology for quickly transferring heat off the GPU to the heatsink. It also features a very Gundam-styled cooler shroud the company has been toying with on several of its recent designs. 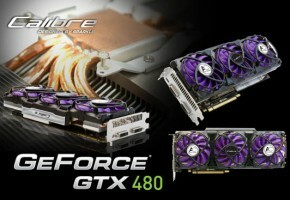 The GeForce GTX 480 packs 480 CUDA cores, and 1536 MB of memory across a 384-bit GDDR5 interface. 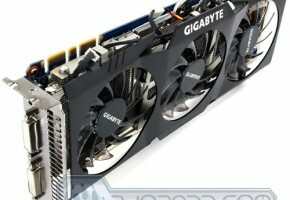 Clock speeds are not known at this point.